How can you open more doors for your grandchild? Help them achieve success in school and in life. Exclusively for children from lower-income families, Milton Hershey School offers a top-notch education and supportive living environment, with just about every student need covered at no cost — even a way to accrue money to use for college. As an MHS student, your grandchild will be guided, nurtured and challenged to maximize his or her potential while preparing him or her for college, a career and life. Small class sizes provide individualized attention. Athletic, recreation and arts facilities offer amazing opportunities for students to explore their interests. As a grandparent, you already make a difference for your grandchild. Now, you can do even more to help them work toward a better future. Schedule a visit to campus for a time that works for you — or talk with an admissions counselor — by calling (717) 520-2590. 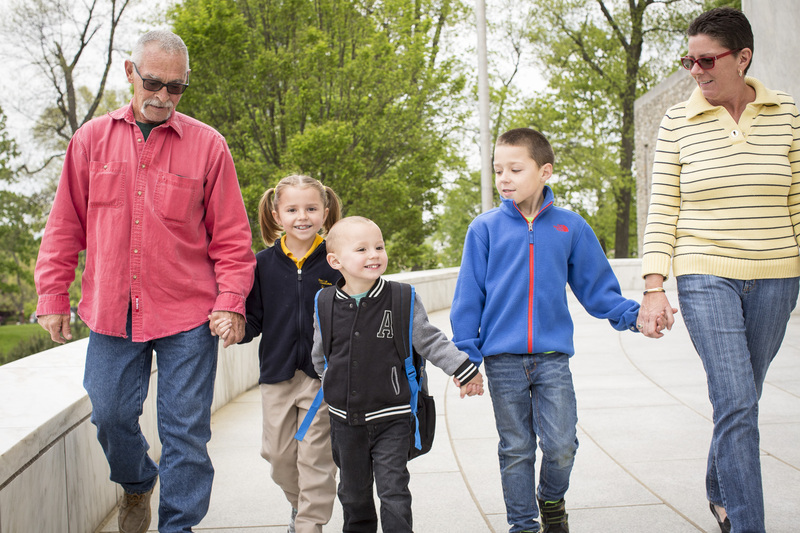 Throughout the year, Milton Hershey School hosts informational events specifically designed for grandparent caregivers to learn more about the opportunities available at MHS. At these events, MHS admissions counselors share the school’s fascinating history, which began with a dream and vision created by founders Milton and Catherine Hershey. Families learn about the school’s holistic, whole-child approach to education, including cost-free wraparound services such as medical and dental care, clothing, food, and a safe and secure campus. Grandparents Tom and Sally Dunlap made the decision to enroll their grandchildren at MHS. The boys are currently in fifth and sixth grade. Milton Hershey School organizes multiple admissions events throughout the year to help prospective families determine if MHS is a good fit for their family. View a list of upcoming admissions events.